There are many reasons why you should go with a Midea heat pump but we have narrowed it down to ten key reasons. suited for the albany, denmark and mount barker water quality. 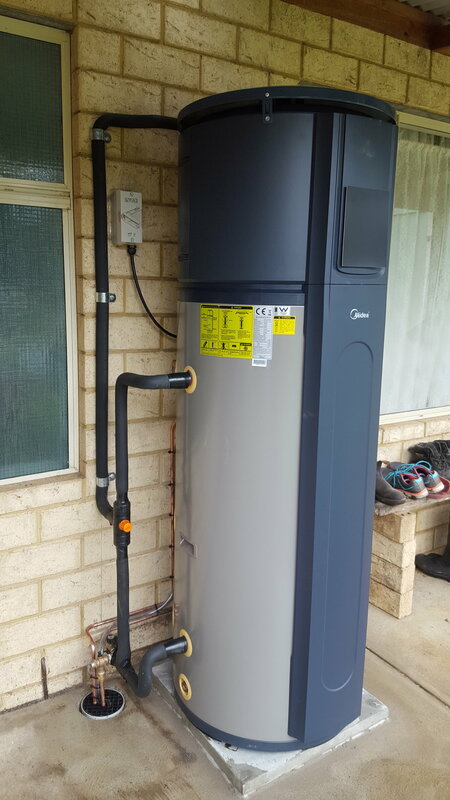 over 500 midea heat pumps installed in the great southern in the last 3 1/2 years without any issues. Produces significantly more heat energy than the power input; saving on purchased energy and generating generous rebates. Also allowing to reduce your carbon footprint. Roof top solar thermal colectors aren't required. 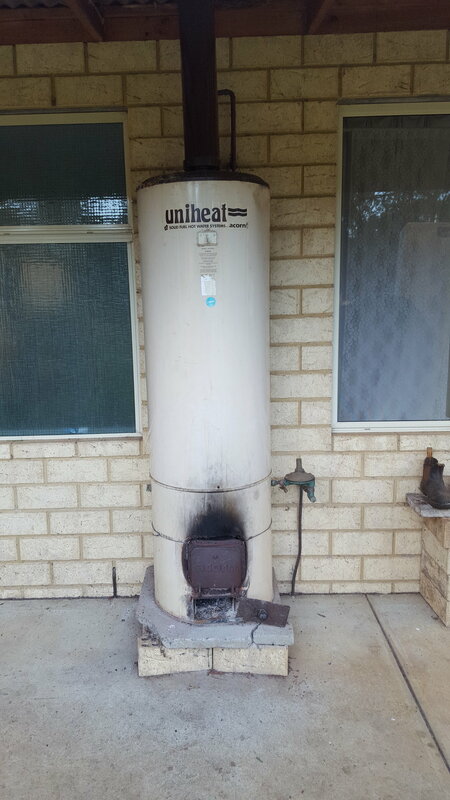 Ideal for where solar water heaters are not viable. Midea Heat pumps are eligible for Government Small-scale Technology Certificates (STCs). Operating at a very low 48 dBA, you will hardly know it's even there! Keeping you and the neighbours happy. Simple and easy to understand controls and displays such as temperature monitor, ON/OFF timer and Safety lock. Stylish slimline single piece unit incorporating a top-mounted compressor with compact footprint to complement contemporary home design. With heat pump technology you can harvest the energy in the air to heat your water and reducing your water heating energy consumption. Midea heat pumps come in two sizes, 170L and 280L making them cost effective for any house size and needs. 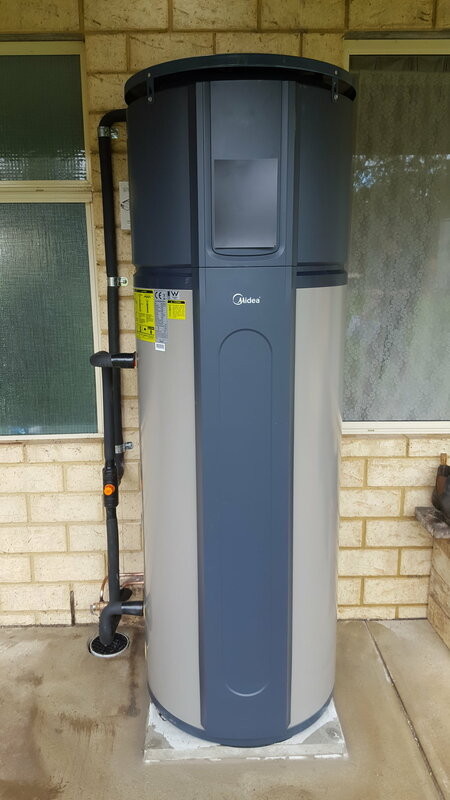 Straight forward change over from existing hot water systems. if you have any further questions feel free to contact with us.